Adelaide, catch Downshift for our first ever South Australian event at the 2017 MCA Suspension SA Time Attack! 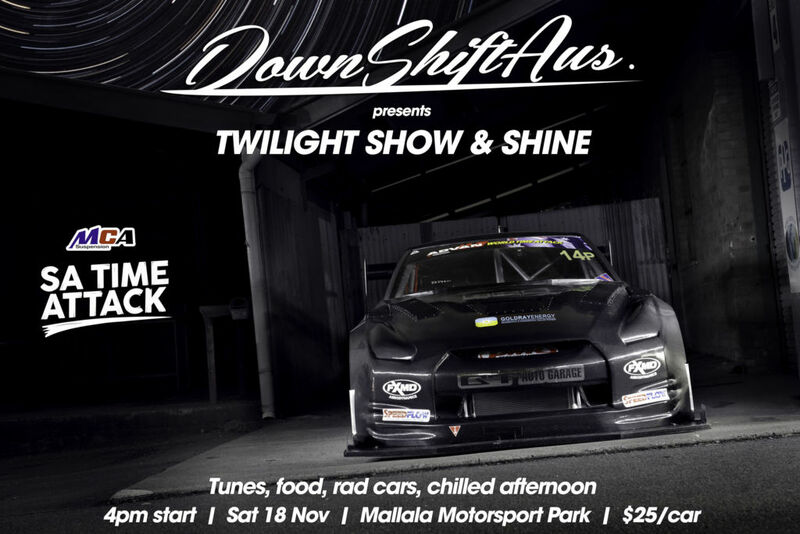 The Downshift Twilight Show & Shine is set to be one epic gathering of SA’s finest rides, paired up with Australia’s top time attack cars for one of the best automotive experiences of the year. This is something that we’re really excited about at Downshift, because it marks our first South Australian event! It’s a twilight event – so expect plenty of sunset motorsport and trackside entertainment that runs well into the night. It all kicks off from 4pm on Saturday 18th November 2017, with Show & Shine entrants bumping in from 3:45pm, and bump-out at 8:30pm following trophy and award presentations. 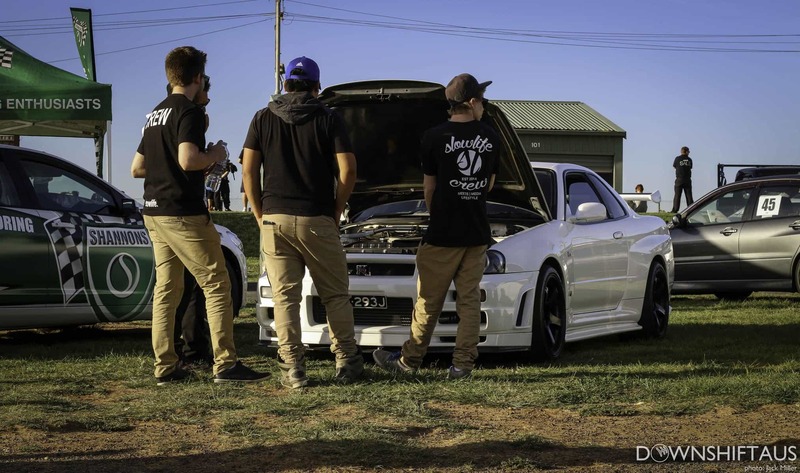 Our team will be travelling from all over Australia to catch SA’s twilight motorsport event, and it’s going to be an absolute blast to see what the SA car scene has in store for us! 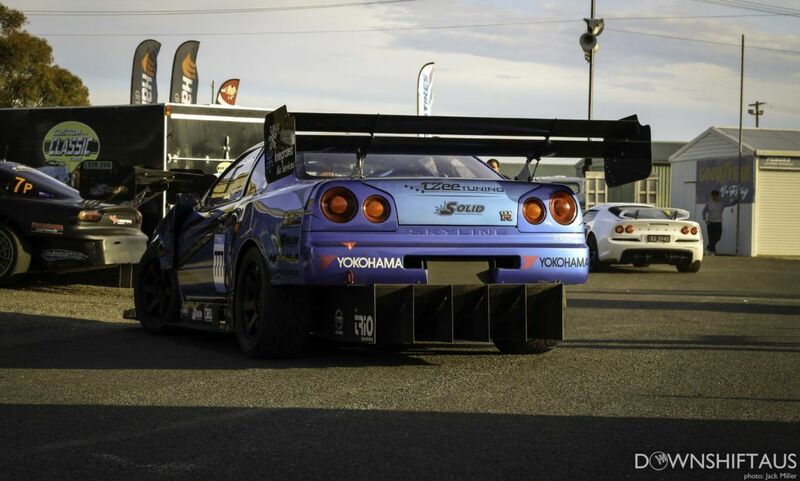 Let’s put it simply… SA Time Attack is freaking awesome. 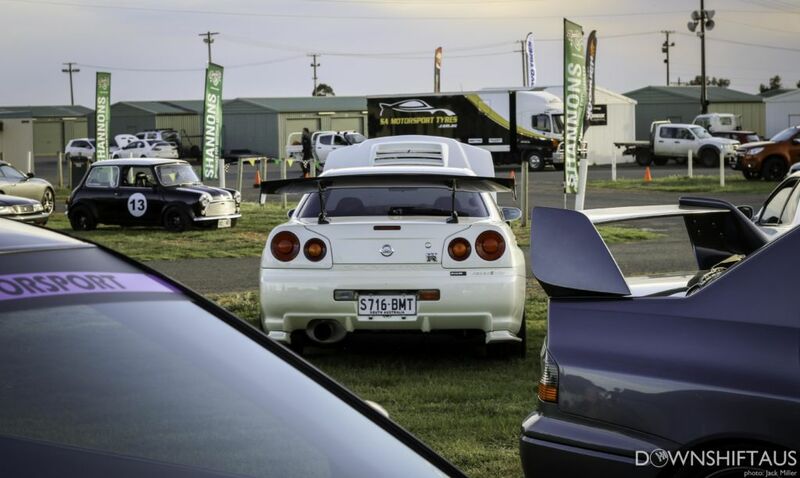 It’s hosted annually by the Mitsubishi GSR/Evo Club (MGEC) and is a very competitive event wherein entrants compete against the clock for the best time around the Mallala circuit. For South Australia – this is the ultimate motorsport event for those in the grip scene. Competition is categorised into classes which are determined by either the tyres fitted, or the modifications fitted to the vehicle (basically, the more extreme the ride, the higher its class). The classes are known as Street, Clubsprint, Open and Pro. What makes this event so great is the fact it’s a twilight event – you’ll see the four classes competing against the clock throughout the South Australian sunset, all the way into the night. It’s an exciting experience for those behind the wheel and those spectating, and it’s definitely an experience you wouldn’t want to pass up! Some of SA’s best cars and bikes will be representing South Australia at Mallala – and we want to see them all! Import, Euro, Muscle, Exotic… Two wheels or four; we want to see what rides SA has to show. Got a new project that you want to unveil? Tell us all about it, and you could unveil it at SA Time Attack! Spaces are limited to up to 100 cars (after all, there will be Time Attack spec cars left right and centre) so if you’re thinking of entering your ride, we suggest you do so sooner rather than later to ensure that you get a spot because it’s first come, first served! …Did we mention it’s trackside? Good. Just making sure. Entry is only $25, and that’ll see you and your passenger(s) trackside at one of SA’s greatest twilight motorsport events! Once you’ve been approved, we’ll get in touch to ensure that your entry is all good to go prior to the event. Due to the spaces being so limited; each application is subject to review prior to approval to ensure that you can expect only the best rides on show. If you don’t get an acceptance email from us – don’t take it personally because the limited spaces makes it a very tough decision for us as well! It doesn’t matter how much or how little is done to it – we’d like to see an application to showcase your pride and joy! You can find the application form at the bottom of the page (which is super easy to fill out, by the way). Each entry into the Show & Shine will be in the running to win some awards which will be judged for various categories. Awards will include (but aren’t limited to) Best Engine Bay, Best Euro, Best Import, Best Interior, Best Fitment, Best Club Display and of course the highly desirable Best in Show. We’ll announce the full and finalised line-up closer to the event! Judges of these categories will be hand-picked from the South Australian car community – reputable business owners, experts, and guest judges will ensure that every detail is noticed on your ride, so get that preparation started! Oh, and shiny stuff… Last year’s trophies for the Show & Shine looked pretty great, hey? Namely the Best in Show award… If your ride’s got what it takes to claim an award, a little birdy tells us you’ll be taking home a pretty shine piece of ‘hey look, my car is awesome’! 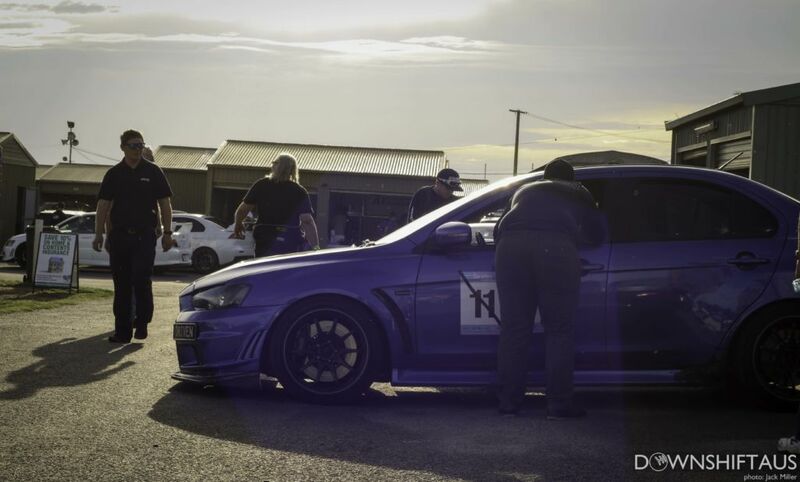 The fun at SA Time Attack isn’t just on the track… Theres plenty to do off-track too! In between rounds, you’ll be treated to live drift demonstrations from some of SA’s best drifters… Nothing quite like a bit of sideways action, hey? If you’re wanting more to look at, take a look trackside for a large array of local SA businesses showcasing their work and their wares down the vendor alley (the full vendor lineup will be announced leading up to the event). If you want to catch the cars you see on the track up close, you’ll have access off-track to catch the drivers and their cars up close and personal! Last year’s event definitely brought in a lot of attention with the Miss SA Time Attack model search, and guess what… It’s back this year! The fun won’t stop off the track; in fact, that’s where you’ll find just as much entertainment as what you’ll see from the grandstand! There’s also plenty of food and beverage options, so you won’t be going hungry. Okay; quick recap. The entries are limited to up to 100 cars, so we encourage you to enter your ride sooner rather than later to avoid missing out on a spot. It doesn’t matter if your build isn’t finished; it could make for a fun unveiling at the event! Just include as many details as you can so that we know how epic your ride is. The cost is $25 to get your car or bike into the show, and that’ll see you and your ride trackside for a whole evening of motorsport fun! Best of luck with your application, and we look forward to catching you trackside at the 2017 MCA Suspension SA Time Attack! Are you entering a car or bike?